There’s a quote that says, “Families are like fudge, mostly sweet with lots of nuts.” Does that sound like your family? Because let’s face it, we all have a family member or relatives who seem to have come from another planet than we did. While we may all wish we can send them back for a replacement, they are still part of our family and despite the ups and downs that surround them, we have to deal with them and love them the same. I used to think that everyone had a good family except for me because we seemed to fight all the time and just when you thought everybody was getting along, something would come up out of nowhere. It could be from something my mom said, my dad did, my sister thought or how I reacted, and the next thing we know, no one would pick up a phone for months on end. As I got older, I realized that even the biggest families had issues and no family is perfect by any means and while my family was distant, there were other families who didn’t come together at all or allowed hatred to circle through them. We can’t save the world or help every dysfunctional family but listed below are a few tips to maybe keep the line of communication open with our estranged relatives. This may be very hard for some families, because most of them have built up so many issues and have held onto so much hurt. That will take several counseling sessions to get those layers pulled completely away. But I’ve found that most family situations can be solved if you can learn to talk with each another before a situation escalates out of control. #2. Seek counseling from a family therapist. If regular communication does not succeed, then counseling is the next step. 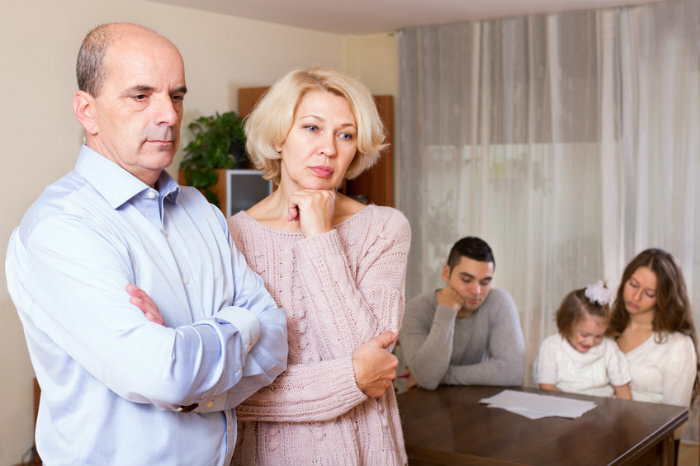 Some dysfunctional family issues may have nothing to do with you per say, but it could have something to do with what an older family member did. Issues could’ve already been in place prior to your birth, in which the family never settled among themselves, which caused division with other family members. Counseling helps to get us past the “Then” to help us be better for the future family generation. #3. Back off but not completely. Most families feel that the problems will solve themselves, but it may only make matters worse and the hatred will increase. While situations may get strong and you may back off just to protect yourself, don’t let it stay that way. Don’t let weeks, months, or years keep you from being connected to your family, unless you have been totally pushed away. When you’ve made every attempt to bring about reconciliation, but find that there is no effort on their part, then you have to forgive them and move on. Forgiveness doesn’t excuse the behavior that dysfunction brings, but it allows us to learn from what happened and to let it go. Remember, it’s not about what they did, what they said or what they haven’t done; it’s about what you do. Forgiveness is your pass to have peace for yourself. We cannot change our families, because we are stuck with them forever. No matter what we think or how we feel about them, they are a part of us, and we are apart of them. But you’ll find out that family no matter how dysfunctional it may be, it still is really a great addition to your life.